In the link below is a pre-publication book by Dr David Chuter, member of the SCID Panel of Experts, entitled The Security Sector in a Law-Based State: A Short Guide for Practitioners and Others. This is an invaluable resource which provides an outstanding and comprehensive introduction to the rule of law and, specifically, how to manage the security sector in a law-based state, which fills a significant gap in the current literature. David has very kindly shared his book with us before formal publication. Should you have any comments, please share them with David at dmc1952@me.com. If you refer to this work, please cite as follows: Chuter, D. (2015) The Security Sector in a Law-Based State: A Short Guide for Practitioners and Others. Pre-publication edition. Available at www.uolscid.wordpress.com (Accessed: [date]). On behalf of us all, I would like to very warmly thank David for generously sharing this excellent book with us. This entry was posted in Rule of Law and tagged David Chuter, guide for practitioners, law-based state, Rule of Law, SCID Panel of Experts, security sector, uolscid on October 2, 2015 by uolscid. 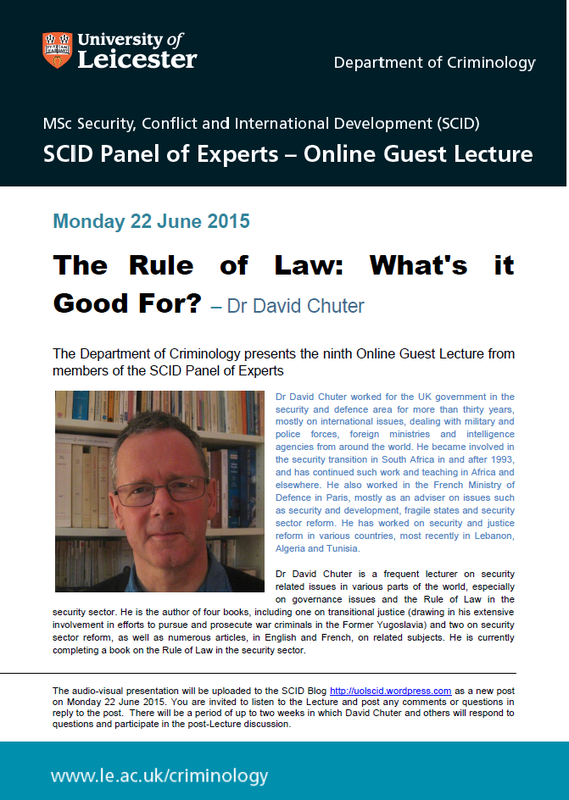 SCID Panel of Experts – Online Guest Lecture – Dr David Chuter – The Rule of Law: What’s it Good For? This is the 9th Online Guest Lecture by members of the SCID Panel of Experts. 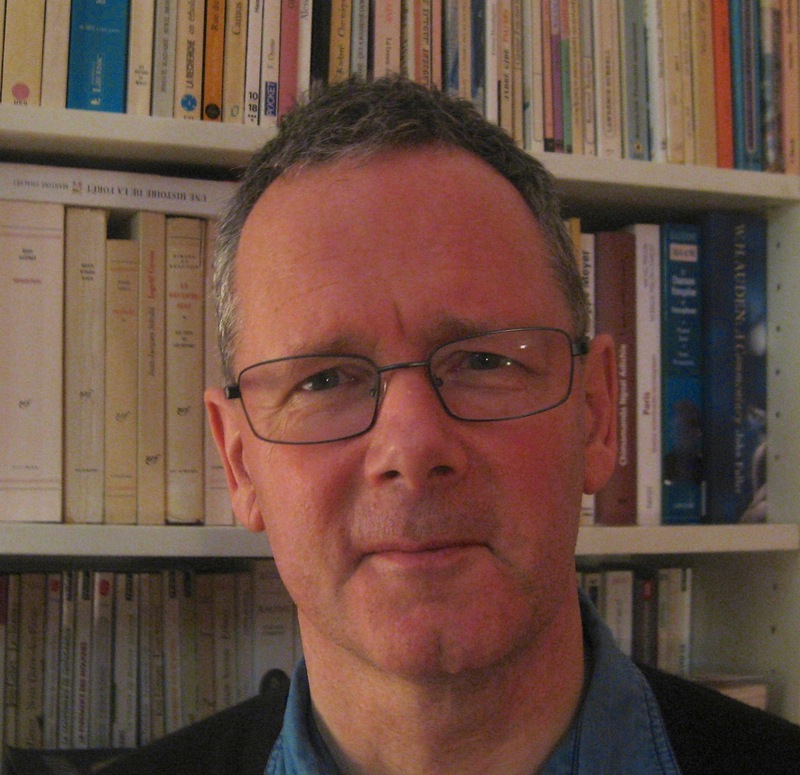 Dr David Chuter presents a lecture entitled The Rule of Law: What’s it Good For? This entry was posted in Rule of Law, Uncategorized and tagged David Chuter, law-based state, Rule of Law, SCID Panel of Experts, security sector, uolscid on June 22, 2015 by uolscid.